There’s no such thing as perfect writing. Grammar blunders, we all have them, even our writing heroes. Their writing may even be no better than yours the first time around. Well, sure, their end product is probably better, but regardless, all drafts are the same: sloppy and downright difficult to digest. Well then, if that’s the case, then how come there are so many awesome bloggers making a fortune on the internet, while there are others who barely earn a single follow? What all successful bloggers have in common is that they all edit their work before declaring it as a finished product. Writing everything they want to say is just the first phase of their writing schema. Every draft is like a rough diamond. Unearthing one is just the beginning. You’ll have to cut it to reveal its clarity and beauty. This is why many of the most popular bloggers hire a professional editor, to transform their rough drafts to a real work of art. You nailed it! – Someone else is helping them. That seems a bit unfair, doesn’t it? It’s no wonder that their writing seems flawless. Don’t go cursing and accusing bloggers of being cheaters. Some bloggers are really just busy with their everyday schedule that they’d rather have someone else do the editing for them. Even so, there are still bloggers who do the editing themselves, which they did by working their way to learning the craft. Editing isn’t exactly rocket science if you just have someone to show you how it’s done. Empty fillers are sometimes called grammar expletives. These are words or phrases that don’t add any substantial meaning to the context. They usually start with there, it, and there, followed by a form of a verb to be. One of the most common phrases includes the words it was, it is, it will, it won’t, here is, it takes, there will be, there is. These words and phrases are empty and meaningless, only making the text unnecessarily wordier without adding any significant value to the paragraph. What’s wrong with being wordy? I mean, sure, there are lots of cases when we need to catch a certain word count. When you use fillers to refer to nouns later in the sentence, your writing weakens as it shifts emphasis away from the real meaning of your writing. We are fond of making our writing lengthier. As such, we often write our stuff using weak verbs. Examples are: assist, help, gain, receive, deal, handle, learn, seek out, set up, and enhance. Weak verbs occur when we write “she is blogging”, when we can just write “she blogs”, “she is enjoying” instead of, “she enjoys”, and “she was sleeping” instead of “she slept”. What’s wrong with weak verbs? We write to express. Using weak verbs makes it more difficult for the reader to digest the meaning of our writing. Instead of using weak verbs, use action or visceral verbs that directly point to the meaning of the sentence. Examples are: ate, kissed, killed, slept, drank, went, and flew. Everything in your article should be easy to understand. You shouldn’t bombard your article with words that’ll make it hard for the reader to understand your writing. That being said, you should be specific when using adjectives. Examples of weak adjectives are: really bad, really good, very big, and very beautiful. How bad is really bad? How good is really good? How big is very big? How beautiful is very beautiful? Refrain from using words or phrases that depict that you don’t know a specific word. Instead, use words like terrible, great, huge, and gorgeous. Do you remember sleeping on your lectures back in high school? What do you think kept you from listening and staying awake? The long and boring lesson, right? Your prof could have explained it using few words, but he still insisted on making it long and difficult for you. I bet you’re wondering what the last part was for. Well, of course, you’re going to have to be straight to the point for your readers to stick. Of course, it’s going to lead to a lesser word count. And of course, you need to stick to a much a higher word count. And that is precisely why you have to make tons of research: to make your article as valuable as possible. So, with all those things absent in writing, how can we make ourselves clear to our readers? Proper punctuation, of course. Use a question mark when you’re referring to a question. Place a comma whenever there’s a pause in your sentence. Again, we’re used to making our writing lengthier. As a result, we prefer using unnecessary and long words, instead of using noun modifiers. Where am I going with all of these? To write clearly and effectively, you just have to be well-understood. We write to express. That being said, your writing should send a clear message to the readers. Focus on making your writing as direct to the point as possible. Don’t confuse your readers just so you can reach a word count. There are only two things to remember: be direct and do research. Unfortunately, most users think that the journey to making much money online is a matter of setting up a blog or website, publishing, some Google ads, and then sleeping. I started my first blog. mybloggertools.com But before I did, I read hundreds of blog posts and consumed a ton of websites, search on google etc. so that contained tips on blogging and how to become a successful blogging so, before I started making a few dollars from my efforts. and you also spend a few extra dollars to spread the word about their blogs across the internet. Now a days students are very advanced and fast, and every day they are looking something new about making money online at home. And they like to play games, and watching movies, etc., for enjoying the lifestyle. So many students are not the very handsome amount of money in their pocket. And they want to get more and more money to get new things. So if you are a student and you can, t spare a too much time for a job and you also a jobless person, then follow these ways to make money online in 2017. A 1st way for students to earn money online is a Blogging. If you have strong writing skills and you believe that you can write well to attract readers towards your blog then you do that easily. 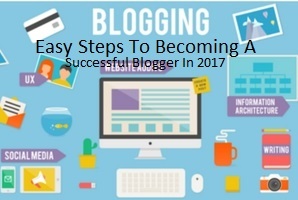 You just make your free blog account at Blogger.com and start writing your blog. Write topic of interest, and target your audience. Look how to making blogger account easily. If you think you don’t have time to write, blog, So don’t worry. Because you don, t need to spend a lot of time. You just Spending 4-6 hours a week when you are free. You can also schedule your posts weekly to save more time. But always write quality and good content. If you some skill you can offer it to random people. And you can sell your any services via social media, like Facebook, Instagram and Twitter, You can offer them services like photography, photo or video editing, (Sale bags, jewelry, creative cards etc.). You also same other products like toys, clothes, movies, DVD, s, books, Games and many other accessories you want to sell. YouTube recently introduced a new feature known as (YouTube Partner Program) that enables you to get profit out of your videos. Just creative any video with a good subject and post it on YouTube. And you will get advertising revenue. Many students make hundreds of videos every week, to earn Good amount of money to YouTube Monetize. If you think you have got some pictures with creativity. Then there are some photo stock websites that enables you to upload your pictures. You can make money by selling the pictures easily. The websites like (Photolia) or (iStock Photo) allows you to upload your pictures for free and you get paid. 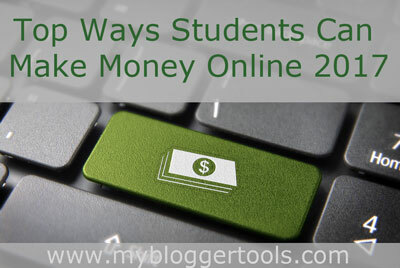 Sharing your notes with other students, this is the best way to earn some cash other than your pocket money. Many websites are doing this job just search on Google, to some websites to which you can upload your notes. After uploading your notes you will get paid every time when someone will download your notes. 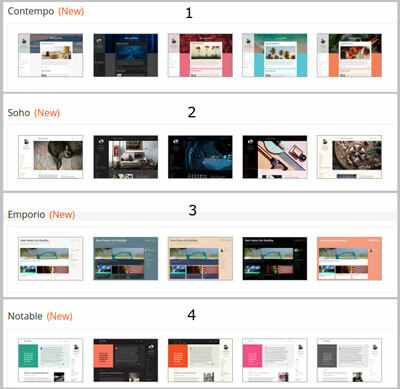 Many websites allow you to upload your notes for free, and they will cut some amount of your profit. Above tips might be helpful to you and I hope you like these tips and tricks to make money online and will follow them in your free time. If you have any question about this post please write your comments below. 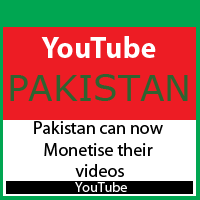 YouTube original content creators in Pakistan can now monetize their videos. Pakistanis can now make money on YouTube. it has been announced that content creators in the country can now make money online. But YouTube doesn’t allow Monetisation in all markets making this is a significant development towards Pakistan’s market so far. if YouTube detects anyone can use copyright content so may Adsense https://earnmethods.com/ account banned as YouTube. Only original content, videos can be monetized on YouTube. and Don,t use any blatant copying of videos. 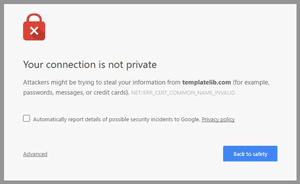 1: Go to https://www.youtube.com/features after logging in to your YouTube account. 2: Press the icon which is Shows Enable (Monetization).